It may seem early to be talking about Halloween, but one of the best ways to celebrate green is by planning ahead. In 2009, $4.75 billion was expected to be spent by consumers for Halloween. And you can bet that this spending ultimately results in a lot of waste, some of which is attributed to costumes. Swapping half the costumes that kids wear at Halloween would reduce annual landfill waste by 6,250 tons, equal to the weight of 2500 mid-sized cars, says Bob Lilienfield of Use-Less-Stuff.com. Millions of parents buy new costumes each year wanting to fulfill their childrens' fantasies. But like a wedding day, in general, costumes are worn once, then thrown away. Relatively small numbers are kept in dress up boxes and reused or donated to thrift shops. Most are likely sent to the dump. So this year, why not make a boo-ti-ful Halloween resolution and swap? It's easy to plan a family or neighborhood swap. Just sent out e-invites inviting guests to bring outgrown costumes in good condition. Make it a party by adding activities like the design-a-bag contest from ChicoBag where your kids can win $250 for them and the same for their schools. Or dunk for apples, make goodie bags or add other Halloween/seasonal games. Or how about staging a fashion show with kids wearing their new-to-them outfits! If you're interested in staging or attending a public event where more costume choices should be available, check out www.CostumeSwapDay.com where you'll find a database of swaps plus tips on how to set one up. Add another aspect to a public swap by teaming with a non-profit. Charge a small swapping fee that goes to your partner. And if you can't make it to a swap or there is none in your area, the internet comes to your rescue. Do a search for "costume swap" or "clothing swap" and you'll likely find online alternatives. 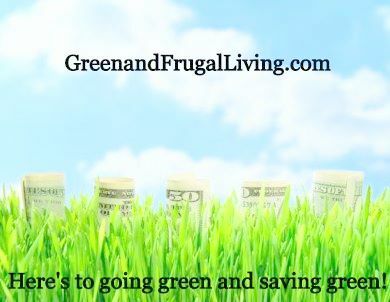 The goal of GreenandFrugalLiving.com is to share unique, yet easy ways to save money and simple changes you can make to be more environmentally friendly -- all with a sense of humor. As a full-time working mom of two, I know that time and money are a commodity for most people. 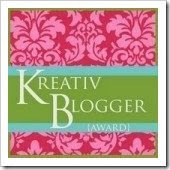 At GreenandFrugalLiving.com, simplicity is key. You can contact me directly at greenandfrugal@gmail.com. Here’s to going green and saving green!